As the summer months reach their peak wasp infestations can become a serious problem. During these months worker wasps will become increasingly aggressive in defending the hive. This can create a dangerous situation for your family members and pets that get too close to the wasp hive. To safely remove the hive a Stockport wasp nest removal treatment applied by a Stockport wasp control specialist needs to be used. Here you can learn more about the most common types of wasps encountered in the UK and why you should use the services of a wasp treatment specialist to eliminate them. 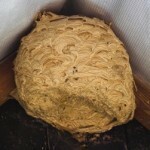 The wasp nest will be established in spring by the fertilised female which is called the Queen. The Queen will select the place which is sheltered and protected. This is why you would typically encounter a wasp nest in places such as the inside of a hollow tree trunk, in the loft of your home or in cracks in the wall. The Queen begins by building a nest out of chewed tree bark. This makes it easier to identify the wasp nests as they have a wood pulp appearance. Eggs will be laid inside each of the cells and 5 to 8 days later they will hatch. During this time the Queen wasp will feed the larvae a diet of insects. The larvae will also develop a silk covering over the opening of the cell. The larvae transforms into an adults in process of metamorphosis and becomes the new generation of workers. These workers will undertake protecting and building the nest from the Queen. Worker wasps are dangerous because they will aim to protect the nest from intruders using their stingers. In particular social wasps, such as the hornet, can be particularly aggressive. The hornet wasp is able to release pheromone which will tell all of the other worker wasps in the hive to attack together. This can cause with the wasp swarm on intruders such as humans and pets. To safely remove the nest from your property the best approach is to hire a Stockport wasp control specialist. A Stockport wasp removal specialist will be able to identify all of the nests on your property so as to completely remove the wasp infestation. As noted above worker wasps will swarm an attack intruders as the nest is approached. This is why it is not recommended that you use a DIY wasp nest removal treatment as this will cause the wasps in the nest to mobilise. Wasps are capable of stinging intruders multiple times without time. The hornet wasp, which is commonly encountered in the UK, has a particularly venomous sting which many people are allergic to. 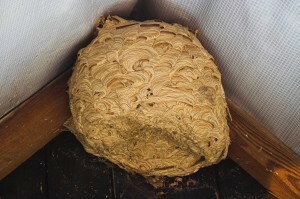 Make sure that before you attempt to remove a wasp nest that you talk to a professional wasp treatment specialist.